Comments: This is likely the most common of the cultivars available in the trade. With age it can grow quite tall and favors a fertile, well drained soil. In very cold winters the foliage of this selection will turn a bronze color. 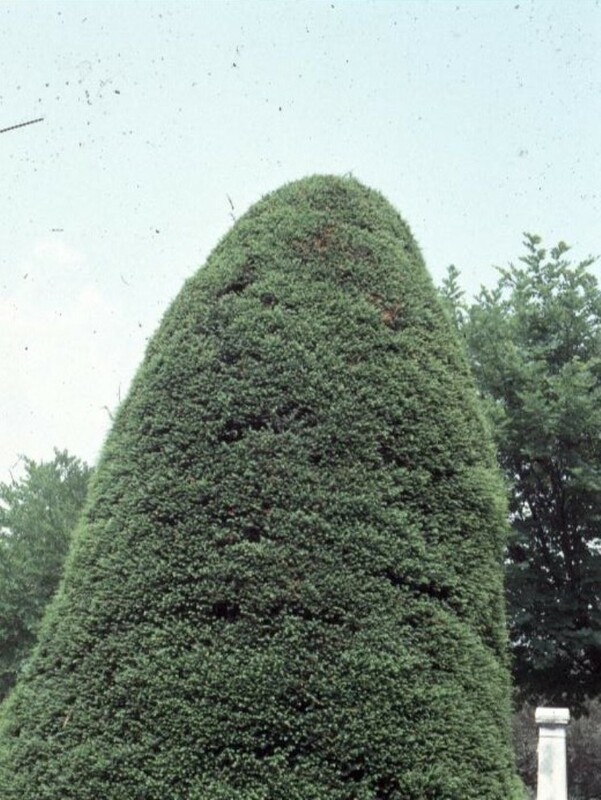 The form of this selection is pyramidal and the plant produces very dense foliage. This selection is often pruned into various forms like pyramids, domes, and ovals.